sample image 2CV, Door hinge linings on the left, in the interior (lateral of the dashboard). Suitable for Citroen 2CV. sample image 2CV, Door hinge linings on the right, in the interior (lateral of the dashboard). Suitable for Citroen 2CV. sample image Dashboard clamping nut. Suitable for Citroen 2CV. This nut is mounted in the square profile underneath the windshield (starting from year of construction 1983). 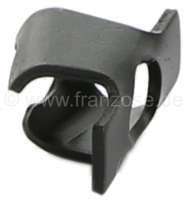 Suitable for screw 18465.
sample image Dashboard cover left of speedometer, for Citroen 2CV6. Colour black. Without rubber bead! sample image Dashboard base on the left. 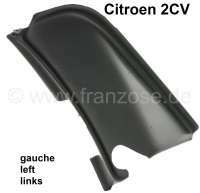 Suitable for Citroen Dyane + Acadiane (ACDY). sample image Dashboard cover right of speedometer, for Citroen 2CV6. Colour black. Without rubber bead! sample image Dashboard base on the right. 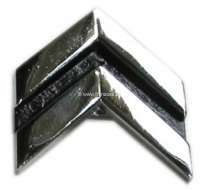 Suitable for Citroen Dyane + Acadiane (ACDY). 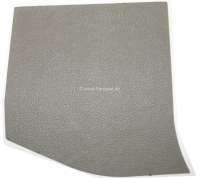 sample image Dashboard lining above from synthetic and 4 door lining above from synthetic. Color: brown (Marron). Suitable for Citroen 2CV6 + 2CV4. Original supplier! sample image Dashboard lining above from synthetic and 4 door lining above from synthetic. Color: black. Suitable for Citroen 2CV6 + 2CV4. Original supplier! sample image Ashtray such as original. For the assembly into the upper dashboard lining. Suitable for Citroen 2CV. sample image Label "Degivrage Antibuee" (inscription air distribution). Suitable for Citroen 2CV of the fifties. sample image Citroen emblem (Chevron) on the dashboard. Suitable for Citroen 11CV + 15CV, up to year of construction 02/1952. Or. No. 802594. Dimension: 38 x 40mm. The emblem can also be used universal. sample image Cockpit trim panels in stainless steel waffle design. They are mounted on the outside of the cockpit fairing. 4 pieces. 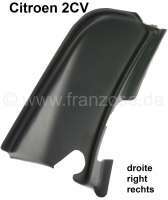 Suitable for Citroen 2CV6. Made in Germany. sample image Cockpit screen on the right beside the speedometer, suitable for Citroen 2CV. The screen are installed below of the windshield wiper switch. For angular switch. Made in Germany. sample image Cockpit screen on the right beside the speedometer, suitable for Citroen 2CV. The screen becomes below Installed of the windshield wiper switch. For angular switch. Made in Germany. sample image Cockpit screen on the right, original Citroen. Suitable for Citroen 2CV from the seventies + sixties, with round operating knobs. sample image Dyane, dashboard label set, for the heater adjustment and the control lights. 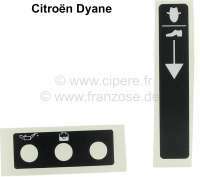 Suitable for Citroen Dyane.